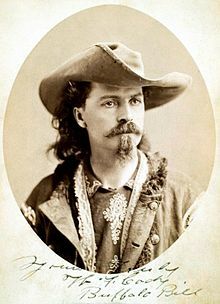 The legend that is William “Buffalo Bill” Cody is to be honoured with the unveiling of a statue – in a new housing development in the east end of Glasgow. 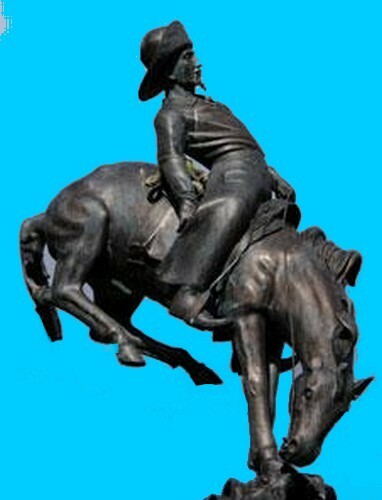 Regency Homes has commissioned the statue and an accompanying plaque after discovering the site of its Dennistoun Village complex was also the location in the early 1890s of Buffalo Bill’s Wild West Show. It will be unveiled next week, a day from the 115th anniversary of the show’s Glasgow debut. 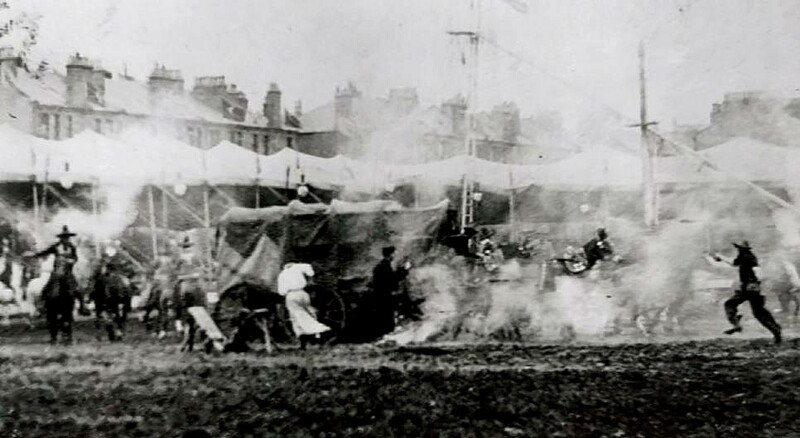 Although recounted in a few local history books, the arrival of the Wild West Show in November 1891 caused a massive stir in Scotland. Star attraction was Annie Oakley, while some of the Indians re-enacting Custer’s Last Stand at Little Bighorn were actually prisoners of war, having surrendered to the US federal government the previous year. 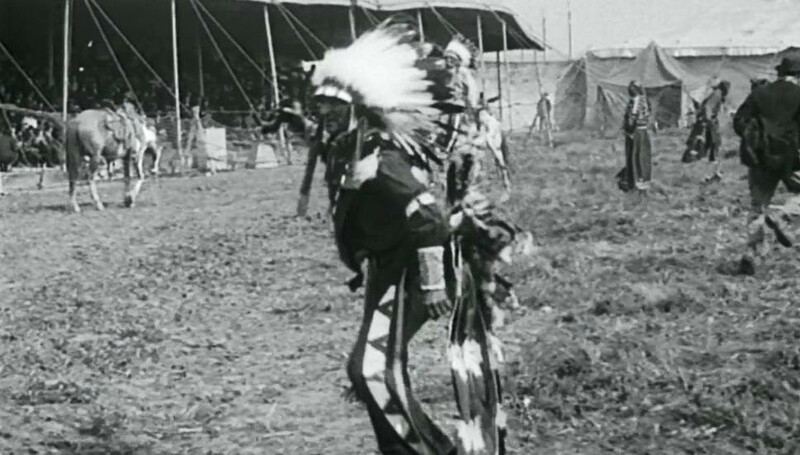 Some, like Kicking Bear, a first cousin of Crazy Horse, even fought in the last great battle, the Ghost Dance uprising. But for four months across 1891 and 1892, they made Glasgow’s east end their home, with Buffalo Bill even making it along to Ibrox to watch Rangers play against Queen’s Park. One Indian, Charging Thunder, is reputed to have spent 30 days in Barlinnie Prison for attacking his interpreter, whilst a speech made by Kicking Bear on the last night of the show led to his arrest on returning to the US less than a week later. The show returned for a tour of 29 Scottish locations in 1904. Until the new statue, the only legacy was the Ghost Dance Shirt, which was on display at Glasgow museums until the late 1990s when it was returned to the Lakota Sioux. Tom Cunningham has written a book on the subject. The Stirling based author said the Wild West entourage were the “first real US superstars”. Paul Martin, MSP for Glasgow Springburn, will unveil the statue. Gerry Braiden – The [Glasgow] Herald. 8th November 2006. Cody brought a huge show with him to Scotland – 200 horses and 100 Indians. They even had their own train to move them around the country. ‘The show itself was a re-enactment of the legend of the wild west. They would attack a stagecoach, and have a buffalo hunt. 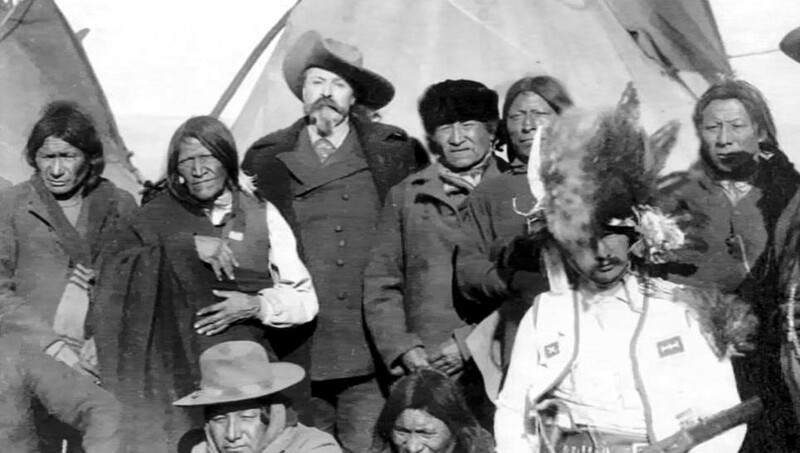 ‘The Indians would even attack a female and Buffalo Bill would gallop in to rescue her.